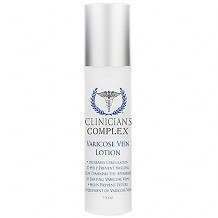 The Clinicians Complex Varicose Vein Lotion is a product that is known for treating Varicose Veins. Reputed as effective, the manufacturers of this product claim that it has ingredients that will help generate healthy venous tissue, due to the enhancement of blood supply through out the body. Varicose Veins are as a result of the body going through stressful changes mainly caused by being overweight. These veins become compromised over time and develop into Varicose veins. Pregnant women are mostly prone to these conditions due to the drastic changes that occur in their bodies. A total of 43% of America’s population is inflicted by Spider and Varicose veins. People don’t pay particular attention to the condition and eventually, the existence of these kind of veins in their bodies lead to other health issues. Surgery becomes the option left to correct them in the end. It is recommended that the lotion should be massaged two times a day into the affected area, preferably in the morning and at night. There can also be different instructions given by your specialist, so you should follow those accordingly. There are no side effects listed for this product. However, 2 warnings have been stated for the lotion. The first warning is that you should be careful that the product does not get into the eyes. The second warning is that women who are pregnant or nursing should not attempt to use this product. Like with any other drug, it is important that you first consult your doctor before using this lotion. Going through Pricing is tricky business on the internet. You have to be able to use good judgment on prices since you can’t automatically assume that a product is bad because of low pricing or good because it is expensive. The tube of 7.5 oz contents is available with the price tag of forty seven dollars and twenty cents, It is not estimated nor outlined how long this tube is supposed to last. 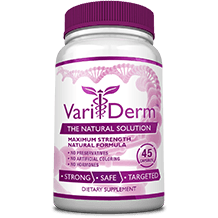 The Clinicians Complex Varicose Vein lotion fits the purpose of doing away with Varicose veins, but the manufacturers don’t back their product. Furthermore, no side effects have been mentioned, since the ingredients don’t appear to be natural. In fact, there are a total of 19 ingredients in this product. It would also be more assuring if it had FDA backing.